102 Claremont Way #16, Mooresville, NC 28117 (#3400216) :: Robert Greene Real Estate, Inc. Welcome home. WATER FRONT COMMUNITY in highly desirable and convenient Bridgeport neighborhood. 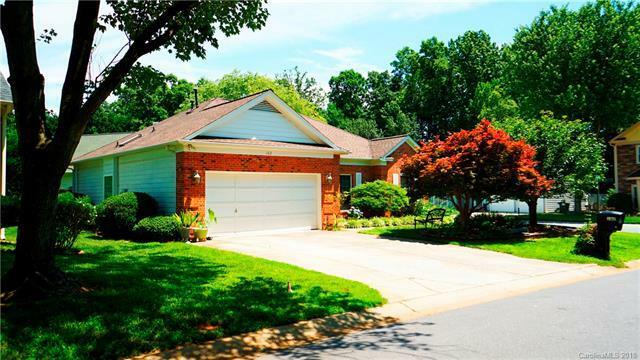 Adorable and charming ranch home, lush landscaping with large beautiful patio, KOI pond and garden, Wow! Master br with large walk-in closet. Corner lot in cul de sac. Wired for security system. Fireplace in GR. Water softening system. Owner has upgraded New roof, HVAC, Granite counter tops, wood and tile flooring. also, bath upgrade and new windows. Community features are Boat ramp, boat storage, tennis court, pool, and playground. Boat slips may be available for lease. Includes refrigerator, washer and dryer. Various furniture available inside and outside patio furniture. This is a must see!